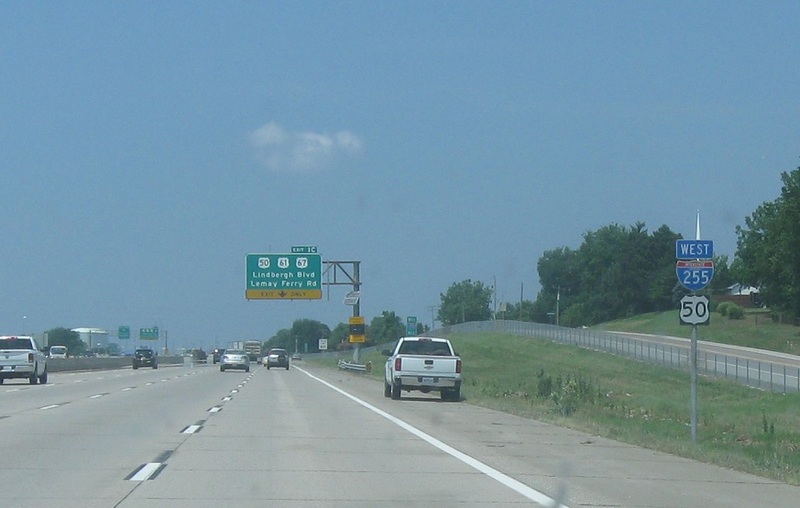 Reassurance shield after the Missouri 21 junction. 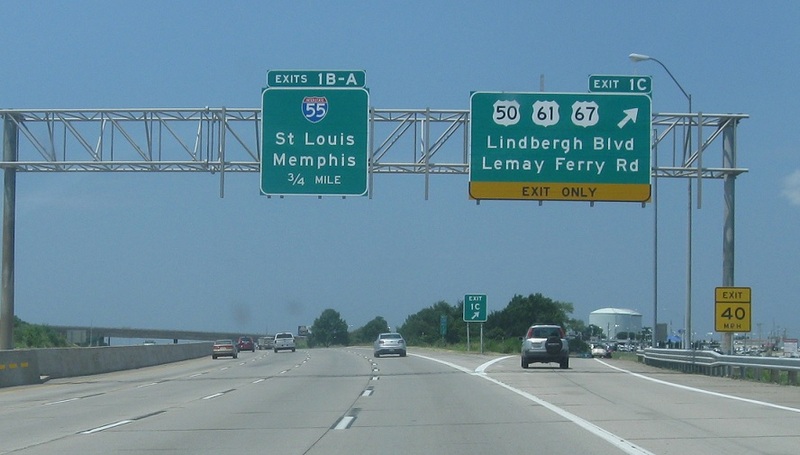 Just after Missouri 21, we’ll approach the U.S. 50 split. 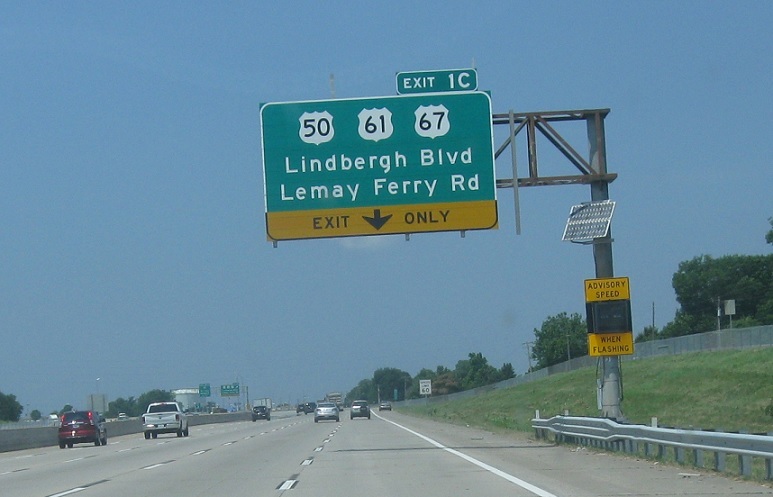 Exit for US-50 west, which quickly connects to US 61/67 and Missouri 267. 61/67 traffic joins I-255 without interchange just around the corner.